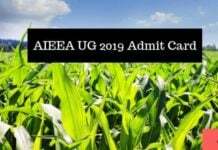 ICAR AIEEA UG Admit Card 2018 has been uploaded on the student login by ICAR. The copy of the Admit Card must be self-attested by the candidate and the same should be brought to the respective examination centre. 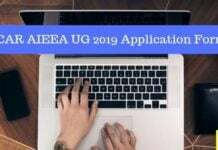 Candidates should note that without self-attestation of the photo as well as signature and putting thumb impression of the candidate on AIEEA UG e-Admit card, the candidate will not be allowed to appear in the entrance examination. The admit card is an important document and must be preserved until the admission process is not over. It is advised to so as it shall be required in counselling and admission process in the allotted Agricultural University. In case the candidate faces any difficulty in obtaining the roll number/examination venue from the ICAR website, he/she is advised to contact the Nodal Officer of the respective Examination City centre; two days before the scheduled examination date. 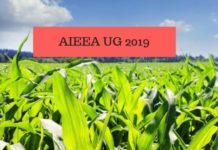 Latest: ICAR AIEEA UG Admit Card 2018 for re-exam is available on August 10, 2018. Also, Check – AIEEA PG Admit Card | AIEEA SRF PGS Admit Card. 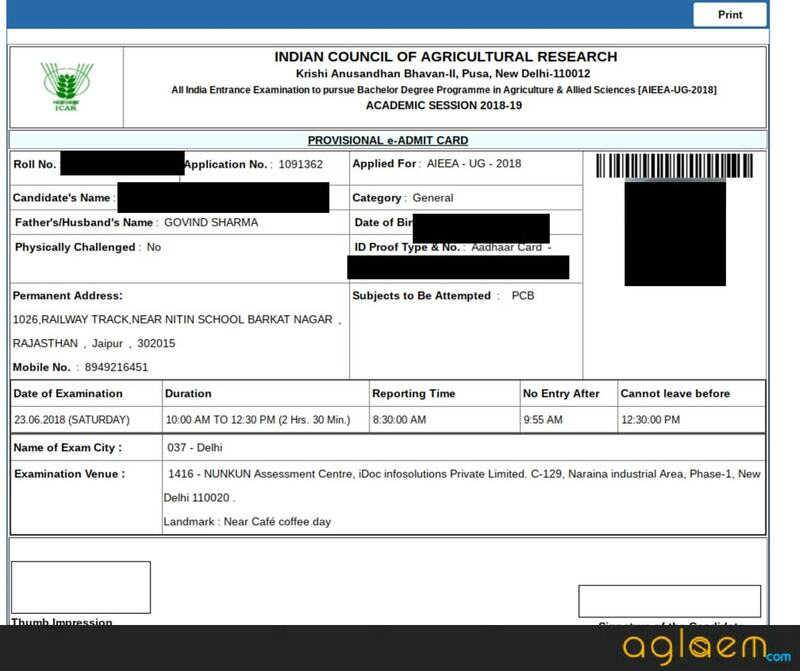 The Indian Council of Agriculture and Research issues the admit card for 23rd ICAR AIEEA. The admit card contains the personal details of the candidate and basic information of the examination centre like date, time and venue of the examination centre. The admit card is provided on the official site of ICAR at www.icar.org.in. The admit card is provided online only. No candidate receives there admit card through post/ courier. Admit Card: Click Here to login & download the ICAR AIEEA UG Admit Card. How to Download AIEEA 2018 Admit Card? Click on the link provided in the article to download the admit or go to the official site at www.icar.org.in. Enter Login ID and Password in the provided space. If downloading from the official site, click on the link which says ‘Download AIEEA UG 2018 Admit Card’ and follow the same as above. In case if any information printed on the admit card is incorrect, candidates can contact the Nodal Officer of the respective Examination City center; two days before the scheduled examination date. On the admit card login page, click on the ‘forgot password’ link and enter the required details and create your new password. admit card will be available by this week only. Please provide the link for download admit card. Admit card will be available by end of the day. its almost end of the day..and we are unable to get the admit card. will it released by tomorrow? I am not getting admit card still. Wts the reason..
Pls enter the correct and clear website. Not getting the admit card Where to download. …?? ?? admit card is not available still. admit card are available or not? Yes, admit is available of the official website now. admit card is available now try it once. I am not getting admit card it’s 11:16 now.. What’s happening? It’s 16th june and still we are unable to get the admit card…what’s the reason behind this? mine says my admit card allotment is still in process and it will be available only at 7:00 pm onwards……reason? There might be some technical issues from backend. Hey there can i have your login credentials so I could help you in a better way. you mean my application no. and the password? You mean my applicatio no. and password? mine says my admit card allotment is still in process and it will be only available after 7:00pm onwards………………???? Hey Stefin kindly provide me your registration id and the password for the same. I am don’t to apply my exam sender in Salem. But in my admit card ,my exam sender is Salem. What I do. still , i didn’t get my admit card.what to do???? HOW TO GET ADMIT CARD ? HOW IS KERALA NEAR TO ANDHRA PRADESH ? I have opted for Trivandrum, Kollam , Allappuzha as exam center but got Vijayawada, Andhra pradesh. when contacted they said people with physically challenged and girl candidates will be given as per their choice. Rest all has to follow the allocation as per department policy. But policy in exam admit card instruction number- 11- says if candidates are more in the centers opted you will be allocated in the near by city center. i didn’t get my admit card yet…it’ saying that it will be available from june 16 ,7:00 pm onwards…now it’s 10:00 pm..what’s this…? I have optioned for examination center for 1.Durgapur 2.Howrah 3.Kolkata , west bengal for ICAR -AIEEA UG 2018.but when I download my admit card then i received centre in kanpur .that is unbeliveble far away from the optional center.please help me to give centre as my option choice.so can i able give the exam. my application no is 1092431. thnak you. Sir, am I seat on exam as per my application choice instead of Kanpur, UP centre ? Sir do we want to attest the admit card or is it enough to be self attested.. I have applied for exam centre in odisha . 1. Berhampur. 2. Bhubaneswar. 3. Cuttack. But in my admit card it is Bhopal. It is very difficult to conveyancing. My application no. is 1159921. Please help me. And allow me to give exam at Berhampur NIST centre. If not possible pl return my money. admit card has been released download it now. I Have Opted thrissur,mannuthy and cochin as exam centres .but was suprise to see I got exam centre at erode it is about 250 km away from my place. please help me to give optional exam centres.it is impossible for girls especially to travel so long. whether you try to make candidates not to write exam . whether you are willing to conduct exam.if yes, you have to change the exam centres according to candidates optional exam centres. hwy there you need to contact the officials. Sir do we want to take a copy of the admit card and attest it or is the print copy shld be attested..
you can take the black and white print out but it should be clear. Sir, I have choose Kolkata as my exam center but I got my center in Lucknow. So, please change my center from Lucknow to Kolkata. hey Amit kindly provide me the password too. Sir what are the things to be done with the admit card to seat in the exam…I mean to say signature,thumb impression etc etc. Sir, when will Icar ug conducts reexamination… Can anyone help in any way about the date approximate..
sir i wrote the icar exam on 23rd and it cancelled,For 18th august ug exam we should apply once more? Mine application number is-1033133 and password is-20062000SA .please send my admit card as soon as possible on gmail account that is [email protected] . Please check on the official website but most probably it doesn’t happen twice one year. Sir if we didn’t send hard copy of application form then we will not be able to get admit card? No, you will get the admit card.The candidates are advised to retain the hard copy of the application form for the future use. the admit card hasn’t released yet . now you can’t anything in the application form as the admit card will be released soon. hey there it shows that the login details are incorrect. the link to download the admit card has been closed. hey Saurabh sorry to say but the link for downloading the admit card has been closed so now you need to contact the officials. sir my application number 1184275 and passward 133350…….. my Gmail account [email protected] gmail. com please send me admit card. hey Sarthak sorry to say but the link for downloading the admit card has been closed so now you need to contact the officials.